“Star Wars Battlefront II” Trailer Released! In The Last Jedi post I wrote earlier, I didn’t mention the fact that Star Wars Celebration is currently taking place at Orlando. That means that there’s quite a bit of Star Wars news coming out now. Some of it is of little interest to me (like the trailer for the fourth season of Star Wars Rebels), but I do like watching the trailers for Star Wars games, even if I’m not likely to ever play them. Anyway, this trailer for the second Star Wars Battlefront game by EA looks great! As you’d expect for a Battlefront title, there’s a heap of action. 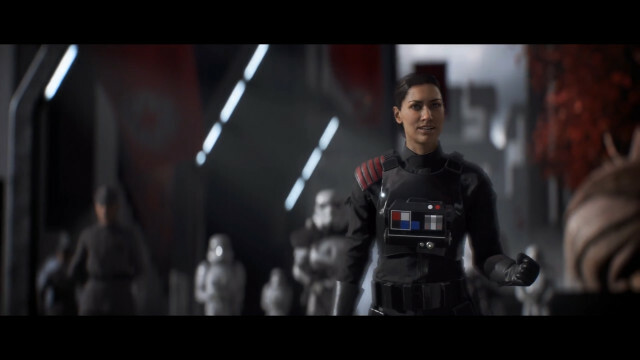 The focus of the trailer is on the Empire and it features what appears to be a female Special Forces officer. You can check it out below. This entry was posted in Games, Trailers, Western and tagged Battlefront II, EA, Star Wars by maruserino. Bookmark the permalink.